December 21, 2018  "We must rush to elevate the sport to global levels," North Korea's official newspaper reportedly stated this week. North Korean leader Kim Jong Un has a well-known love for the sport. 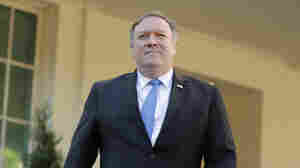 December 20, 2018  In an interview with NPR, Secretary of State Mike Pompeo expanded on remarks by President Trump, who declared the U.S. had "won against ISIS" and would pull troops from Syria. 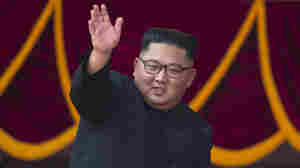 December 19, 2018  New research shared exclusively with NPR suggests that Pyongyang is refining its weapons technology through open scientific research. China leads the way in scientific collaboration with North Korea. December 14, 2018  The product promises to moisturize skin with mineral water from North Korea, but some say it trivializes tensions on the Korean Peninsula. 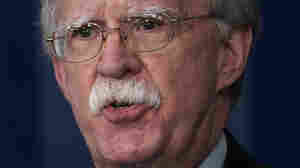 December 6, 2018  NPR's Steve Inskeep talks to national security adviser John Bolton about natural security threats posed by China and the arrest of Meng Wanzhou, scion of a Chinese telecommunications giant. 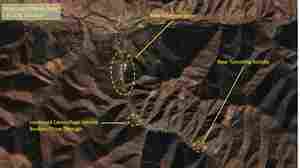 December 5, 2018  Satellite images reveal tunneling and other construction activity at two sites near the Chinese border that are believed to house long-range missiles that could in theory reach the United States. 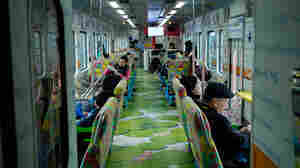 December 5, 2018  The two Koreas have taken another remarkable step toward linking up — by train. 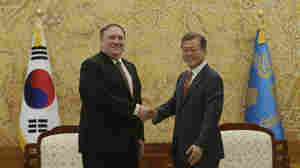 November 19, 2018  Five months after the Singapore summit, North Korea's nuclear program chugs on. 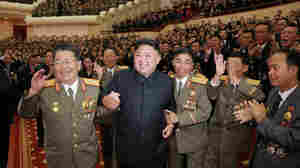 "I think right now, we are absolutely stuck," says North Korea expert Sue Mi Terry, a former CIA analyst. November 16, 2018  The man, identified as Bruce Byron Lowrance, reportedly entered North Korea from China last month. His quick release is seen as a conciliatory gesture aimed at maintaining ties with Washington. October 7, 2018  "Together we can achieve the outcome that the world so desperately needs," the secretary of state said. An official called the meeting "better than the last time" but "it's going to be a long haul." 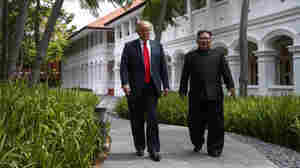 October 6, 2018  President Trump says he "fell in love" with the supreme leader of North Korea, who presides over a cruel kingdom of repression and torture. 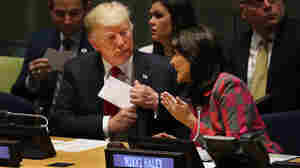 September 25, 2018  Trump boasted to the General Assembly that he's accomplished more than almost any previous administration — a claim that prompted laughter from the assembled diplomats and other world leaders. 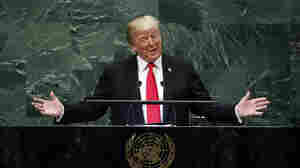 September 24, 2018  President Trump will speak at the U.N. General Assembly on Tuesday. 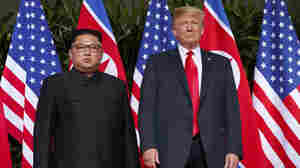 He will highlight progress with North Korea, while calling for more pressure on Iran. September 21, 2018  Behind the scenes of NPR's recent reporting trip to North Korea, where a government-assigned minder stymied the team at nearly every turn. September 20, 2018  Addressing an audience of 150,000 North Koreans, South Korean President Moon Jae-in says he hopes "the past 70-year-long hostility can be eradicated and we can become one again."